In this article, we’ve listed the best PDF apps for your iPad and iPhone which can help you to read, edit, annotate and fill PDF forms easily from your iDevice. These apps come with lots of features that can help you to complete all of your #PDF related tasks easily from your device. Here is a list of useful top PDF reader/editors for your iPhone/iPad. 1. PDF Expert 5 ( #iPhone & iPad ) – PDF Expert is one of the best PDF apps on the Appstore for your iPhone & iPad and it comes with lots of useful options. Very useful PDF app which can help you to read , highlight texts , make notes, fill forms, review documents and draw or annotate PDF documents. Fully featured iOS PDF app that helps you to read all types of PDF documents from any place such as desktop, emails attachment or online cloud storage services. PDF Expert lets you read all types of documents and also helps you listen your favourite eBook ( with text to speech option ) . PDF Expert allows you to view all types of documents quickly, highlight texts in PDF files, fill PDF based forms with ease, draw & create notes, share files using USB cable or Wi-Fi and protect your important PDF documents with secure password. Very useful PDF reader for iPhone & iPad users. 2. iAnnotate PDF ( iPad ) – Very powerful PDF annotation app for iPad that comes with tons of useful features. With iAnnotate PDF, you can easily read , markup, annotate and share PDF and other types of documents from your iPad. One of the best PDF annotation apps and it has very easy user interface. You can choose different types of useful tools to annotate your PDF documents such as pen, voice recorder, typewriter , photo, simbols etc. Great app that comes with lots of features including multitasking feature, syncing , sharing, modifying and organizing features. 3. iBooks ( iPhone & iPad ) – iBook is one of the best eBook apps for iOS users, it helps you read all types of books and PDF documents on your iPhone or iPad with a beautiful user interface. iBooks allows you to download thousands of books from iBookstore including art books, photo books and more. One of the best free apps on the Apple app store to read books and PDF documents easily. This app also helps you to print PDF documents and share books with your friends using Facebook, Twitter or email. 4. PDF Reader Pro ( iPad ) – Easy and powerful PDF app for iPad that is integrated with lots of useful options which lets you read and annotate PDF documents easily from your iPad. This app helps you to fill PDF forms, annotate documents with useful tools, transfer PDF files to your device from your computer or website and transfer email attachment from email to this app. One of the best PDF apps which can be used to complete all types of PDF related tasks. Great app that has many features such as – file sharing option, powerful search engine to find words in PDF documents, access password protected PDF files, PDF form filling option etc. A complete PDF tool for iPad users. 5. Genius Scan – PDF Scanner ( iPhone & iPad ) – Beautifully designed PDF application for iPhone and iPad users that lets you scan your documents and convert your scanned docs into image file or multi pages PDF. Very useful free PDF converter app that can be used to scan documents, create PDF files quickly within few seconds, read PDF files quickly from your device & share your documents to online storage services and over wifi to access it from computer. This app renders PDF pages very quickly so that you can check all of your important documents quickly from your iPhone or iPad. 6. PDF Reader Pro Edition for iPad ( iPad ) – Powerful PDF app for iPad. PDF reader pro edition for iPad helps you to read all types of documents easily on your iPad. One of the best PDF apps for iPad and it comes with tons of features that can help you to complete all of your PDF related tasks easily from your iPad. With this app, you can access large files , use text box , use drawing & other tools for your documents , sync your file to Dropbox and other remote servers, annotate and organize files, transfer your files, create new PDF files and use many other features. 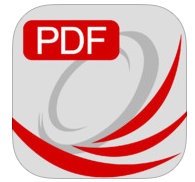 Very useful PDF app for iOS users. 7. PDF Reader iPhone Edition ( iPhone ) – Essential PDF app for iPhone users. One of the best pdf apps on the app store for iPhone users , it comes with many useful features and nice user interface. With this app, you can complete all of your PDF related tasks easily from your iPhone. This app helps you to create multi page PDF document by using various files and images. 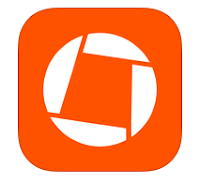 With this app, you can scan, download, import and convert your files to PDF documents easily. One of the best PDF readers on the app store for iPhone devices which allow users to view, manage and share documents, mark up pdf files , fill PDF forms, add signature , annotate files and access password protected files. Great app that is integrated with a powerful dictionary , image slideshow , Google & Wikipedia search features. 8. Adobe Reader ( iPhone & iPad ) – If you are looking for free PDF reader for your iPhone or iPad, Adobe Reader could be the best option for your device that comes with some useful features. One of the best free PDF reader for iOS devices which can be used to view all types of PDF documents including password protected files, annotate and add comments to PDF files, fill PDF forms, organize files , print and share PDF documents from your iPhone or iPad.